It is with great sadness that we announce the peaceful passing of our family’s anchor, Ted Garnett. He leaves behind his loving family, his wife, Norma, mum Edith (aka GG), son Dean (Kim), son Dave and daughter in-law, Cara, his grandchildren; Bailey, Sydney, Jackson, Cole, Zackary and Presley, his sister Janet, niece Debbie, nephew Robbie, great niece Kassie, Joe (his protégé of 40 years), and many dear friends near and far. Ted was born in Ridge End Cottage, Marple, Cheshire, England on August 31, 1941. At the age of 10, Ted and his family, made the voyage to Canada’s BC Coast via the Empress of France Liner to Montreal, followed by a long train ride to Vancouver. He eventually made his way to the halls of Lord Tweedsmuir High school in Cloverdale, where he met his true love Norma, in 1958. The two were married on May 4th, 1963 and resided in New Westminster where they welcomed two sons. Ted was a proud hard working man who always provided only the best for his family. He started his career with International Harvester on Station Street, Vancouver in the parts department, then later being promoted to sales then to Zone Manager. In 1967, the family moved to Kamloops then to Kelowna in 1968. Business was booming and in 1969 Ted took over the International dealership in Penticton, where he finally planted his roots. Nor-Mar Truck and Equipment was born and flourished for many years. In 1987 Ted ventured on his own starting Garnett Equipment, which later became, what is known today, as Pacific Rim Equipment. Over the decades Ted has been a part of many other successful businesses such as 1912 Restaurant, Valley Waste, Penticton Speedway and was President/Partner of Apex Mountain Resort from 1997 until it was sold in 2017. 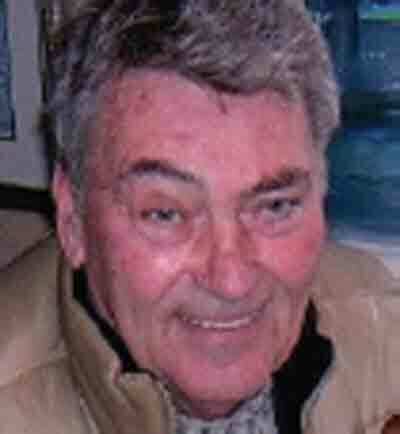 Ted enjoyed his motorhome, camping, fishing, movies and making fond memories with family and friends. He loved and cherished the time spent building a special bond with each of his prized possessions, his grandchildren. He will always be remembered for his “Wall of Water”, business advice, camping mishaps, warm Maui vacations, and his generosity. A very special thank you to all the staff at the Penticton Hospital, Nurse on Call, Moog and Friends Hospice, and to all our friends, in particular Earl and Harley, who have all showed love and huge support to both Ted and Norma and their family over these last few months. We invite all those who knew Ted to attend a celebration of his life on Saturday, June 16th, at 4 pm at Pacific Rim Equipment. In lieu of flowers, please consider making a donation in Ted’s name to the Penticton Hospital Foundation. Thank you Ted, Dad, Grandpa and Friend, for making our world wonderful.